I have loads of fresh cherries that I've recently picked off our trees. And I can't decide what to bake them into. Does anyone have any delicious recipes for deserts that I can include these into that aren't as generic as a standard pie? I like cherries best in a cold summer soup. It's one of my last meal items. How 'bout tossing them into a standard ice cream maker? ....the whole article is interesting to read: a bit of history re the cookbook he mentions, plus David's how-to explanation. You might be able to tell that his website is one of my favorites. 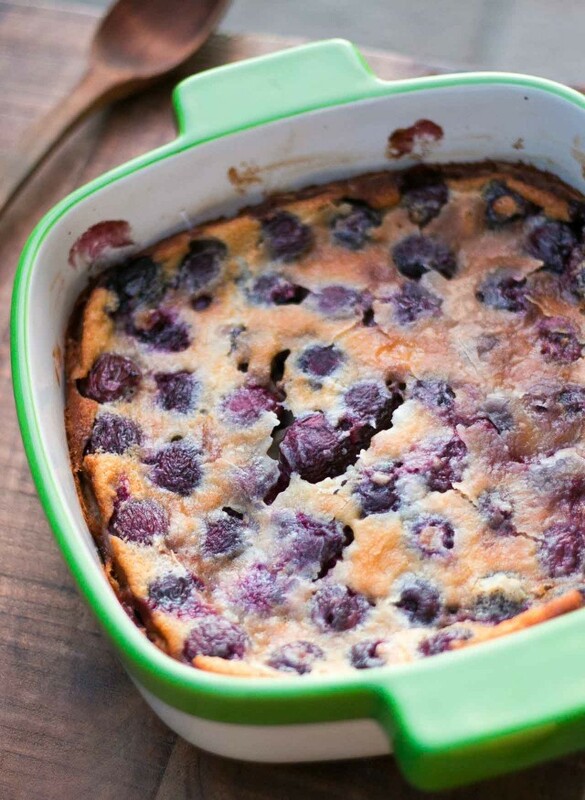 Cherries are great for clafoutis! I love whipping up cherry and blueberry flavored yogurt at home. After straining the yogurt for not more than 5 hours, line the strainer with a cheese cloth in a bowl and add the yogurt into it, covering it with a lid. Now refrigerate this for almost 5-6 hours. Next, puree the cherries and blueberries and add the earlier strained yogurt. If you are fond of honey, add a bit of it to taste. If you have an ice-cream maker at hand, well and good; if not, simply freeze the yogurt and at the time of serving, add some quartered cherry pieces onto it as a topping. » Any Good Recipes for Cherries?